A minimum of 75 must be Prescribed credit. The remaining credits may be Prescribed, Elective, or a combination of both. *An exemption to the 25 live activity credits will be allowed for AAFP Active members who submit evidence that they are providing medical care in a missionary/charitable practice setting in an overseas practice for more than a 12-month period. It shall be the responsibility of each individual member to report hours of CME activity. Activity Level – The CME activity must fully comply with the Accreditation Council for Continuing Medical Education (ACCME) Standards for Commercial Support and the American Medical Association (AMA) Council on Ethical and Judicial Affairs (CEJA) Gifts to Physicians from Industry Opinion 8.061. The CME activity must be relevant to the scope of family medicine. PRESCRIBED: The CME activity must have an AAFP Active or Life member directly involved in the planning of the activity to ensure the relevance of the content to the specialty of family medicine. ELECTIVE: The CME activity may be primarily designed for health care professionals other than physicians. Direct involvement of an AAFP Active or Life member in the planning of the activity is not required. Members may earn CME credit via a wide range of educational opportunities, in both formal and informal categories. Formal CME includes CME activities that have been certified by the AAFP for Prescribed or Elective credit. Informal CME includes self-directed learning activities that are not certified for credit. Live Activities take place in real time, involving two or more physicians. These activities provide the opportunity for real-time interaction between learners and faculty. Enduring Material activities are based on independent learning materials designed primarily as self-study activities. These independent learning materials must, in themselves, constitute a planned CME activity. Medical Journals are a regularly published collection of articles intended for medical professionals. The participant reads an article, engages in a self-directed phase stipulated by the CME provider that may include reflection, discussion, or debate about the article, and completes a pre-determined set of questions or tasks related to the article content. Performance Improvement (PI) CME activities are structured long-term processes, by which physicians learn about specific performance measures, retrospectively assess their practice, apply performance measures prospectively over a useful interval, and reevaluate their performance. Five Prescribed credits may be awarded for the completion of each of the three stages, and participants must begin with Stage A. Physicians completing, in sequence, all three stages of a structured PI activity may receive an additional five AAFP Prescribed credits, for a maximum of twenty credits. Point of Care is practice-based learning that takes place in support of specific patient care. 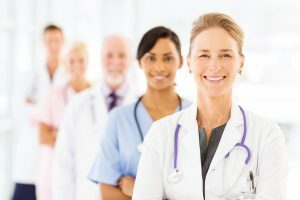 The physician uses a computer-based clinical decision-making support tool at the point of care to ask a clinical question, search evidence-based sources for practice recommendations, and apply a recommendation appropriately to the patient. Even in cases when the evidence-based recommendation is not appropriate for the patient, the physician still learns something in the process. AMA PRA Category 1 Credit™ — Educational activities that have been approved as AMA Category 1 Credit™ for the American Medical Association Physician’s Recognition Award and that have not been certified for AAFP Prescribed credit may be self-reported by members as AMA Category 1 Credit™. This counts toward re-election as AAFP Elective credit. AOA CME — Educational activities that have been approved for credit by the American Osteopathic Association (AOA) and that have not been certified for AAFP Prescribed credit may be self-reported by members as AOA credit. This counts toward re-election as AAFP Elective credit. CFPC Activities — Activities approved by the College of Family Physicians of Canada (CFPC) for Mainpro+ CME credit and that have not been certified for AAFP Prescribed credit may be self-reported by members as AAFP Prescribed credit. ABFM or AOA Certification — Credit may be claimed for the certification or recertification examination through the American Board of Family Medicine (ABFM) or the American Osteopathic Association (AOA). Advanced Training — Credit may be claimed for the completion of a medically-related master’s degree or a fellowship/mini-fellowship program beyond Family Medicine residency training. Teaching — Credit may be claimed for instruction of health professions learners in formal individual (e.g., preceptorships) or live educational formats. Publishing original scientific or socioeconomic research pertaining to patient care, public or community health, published in a state or national peer-reviewed Medline indexed journal. Test item writing for the NBME, ABMS member board or for peer-reviewed, published, self-assessment educational activities from a national medical specialty society. Professional Enrichment – Credit may be claimed, commensurate with participation, for partaking in other medical educational experiences and activities, such as independent exam preparation and informal self-learning activities. These activities may or may not be documented, and are not certified by the AAFP, AMA, AOA, but are of a nature of professional enrichment to the family physician. CME activities produced by a commercial interest, i.e., any entity producing, marketing, re-selling, or distributing health care goods or services consumed by, or used on, patients. This does not include providers of clinical service directly to patients. Enduring materials with expired term of approval. Activities on therapies determined by the COCPD as dangerous or proven ineffective. American Academy of Family Physicians’ members should inform sponsors and producers of continuing medical Education (CME) programs, [e.g. hospitals, medical schools, and other organizations], of the Academy’s CME requirements. If such organizations wish to have their courses and programs reviewed for approval by the Academy, they must follow the criteria, definition and rules of the Academy Sponsors can obtain program application information form AAFP CME Accreditation Services. Visit this AAFP link for additional CME credit requirements information. Contact Marietta Saunders, CME Specialist for the NCAFP, with any questions regarding your CME requirements.